Thanks to the wide variety of houses in Midnapore, families from all walks of life can find their home in this fantastic community. 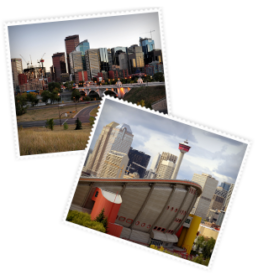 Allow us to introduce you to some of the real estate styles found in Midnapore. Single-family homes, Midnapore’s most spacious option, are popular with those who crave the space and freedom to thrive. Large yards and convenient floor plans are common themes among these homes, which have been built to allow fantastic family living. Single-family homes in Midnapore are best suited for those who want a highly comfortable lifestyle, inside and out. Townhouses in Midnapore can be hard to find, but are worth the effort. As luxurious and comfortable as the single-family homes, these living spaces offer phenomenal living in a convenient environment. Many of Midnapore’s townhouses outshine the detached homes in beauty and functionality, making them worth the search for families of all shapes, sizes, and personalities. Extremely convenient and low maintenance, Midnapore condos are a popular option for busy professionals and small families. These condos are part of Midnapore’s beautifully designed buildings, and tend to be well maintained. Midnapore condos have a wide price range that includes starter units and high-end luxury homes. As a result, the Midnapore condo lifestyle is right for almost anyone.